For 2013, Hamilton introduced an automatic version of the Khaki Pilot Pioneer, which was originally launched in quartz in 2010. The Khaki Pilot Pioneer is inspired by the aviation watches from the 1970s, specifically the model that Hamilton originally designed for the Royal Air Force. The new automatic version — the Khaki Pilot Pioneer Auto Chrono — has the same overall design as the quartz, except for a few changes which distinguish it as the version with the mechanical movement. First, it has symmetrically laid out subdials (at 9 and 3 o’clock) versus an asymmetrical layout on the quartz model. 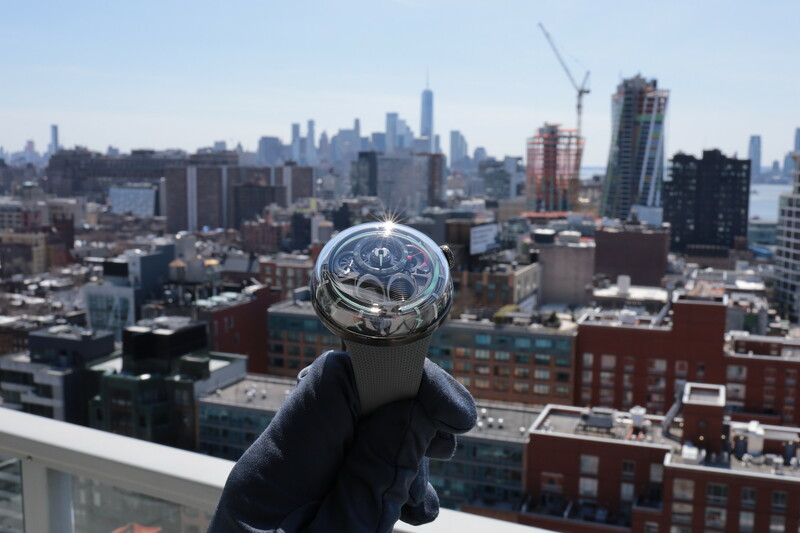 Second, the date window is now located between 4 and 5 o’clock and has a round aperture — whereas the quartz model has a square date aperture located at 3 o’clock. 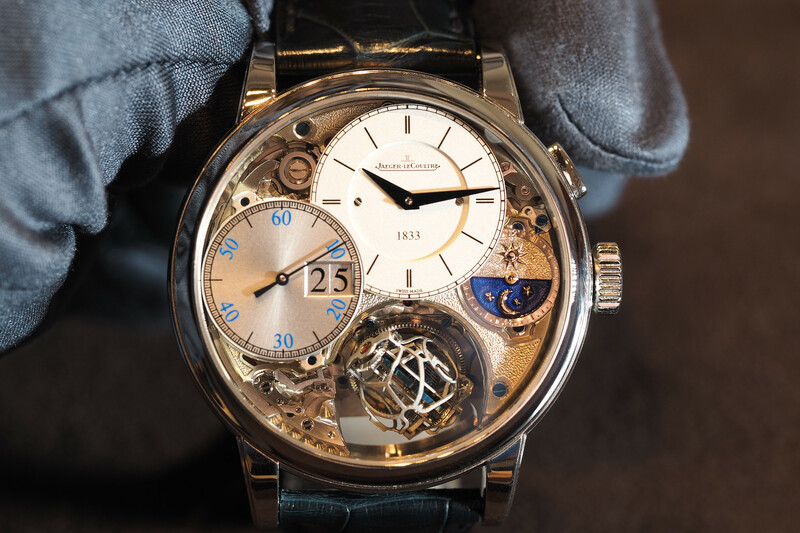 Last, the automatic comes with a clear caseback. The Khaki Pilot comes is either a black or silver dial, with either a polished and brushed steel case on a steel bracelet or black leather strap; or a sandblasted steel case on an olive-khaki or black Nato strap. The case measures 41 mm in diameter by approximately 16 mm in thickness. The dial has a nice symmetrical subdial configuration and a silver metallic finish, along with easy to read numerals, markers, and hands. Cream colored Superluminova is used on the 12 and 6 o’clock Arabic numerals, all the indices, and the hour and minute hands. The sapphire glass is slightly domed and features an anti-reflective treatment. Water-resistance is 100 meters. Powering the Khaki Pilot is an H-31 automatic movement that is based on the reliable Valjoux 7753. 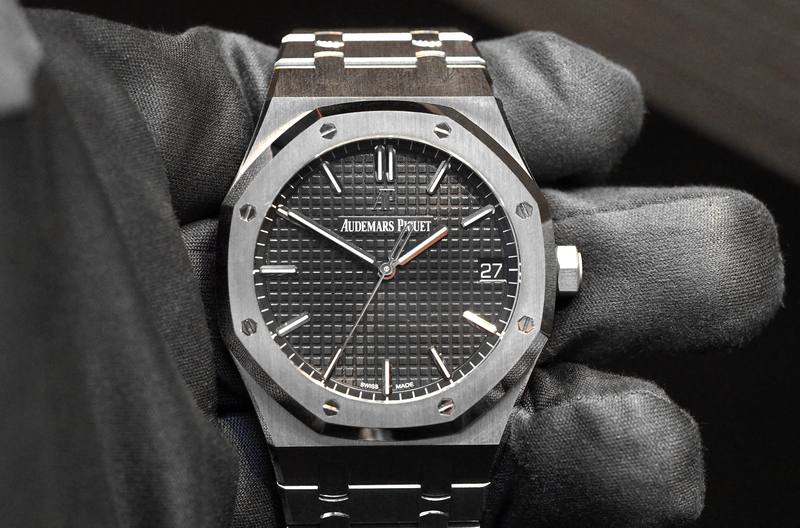 It has a 60-hour power reserve (which is an 18-hour improvement over the Valjoux 7750), it beats a 4Hz and has an engraved ‘H” motif on the bridges. The caseback is clear, however, because of the design of the Nato strap, it is a bit difficult to remove and to view the caseback without a strap removal tool. While, one of the best benefits of a Nato strap is the ability to take it on and off without a tool, and this does not have that, as a consolation the Hamilton strap has a few distinctive features that somewhat make up for this: the strap has a metal piece on the end, and the holes are reinforced with leather — both of which prevent the fraying of the nylon fibers that typically occurs on Nato strap. This is a great looking timepiece, with a good movement and impressive power reserve. 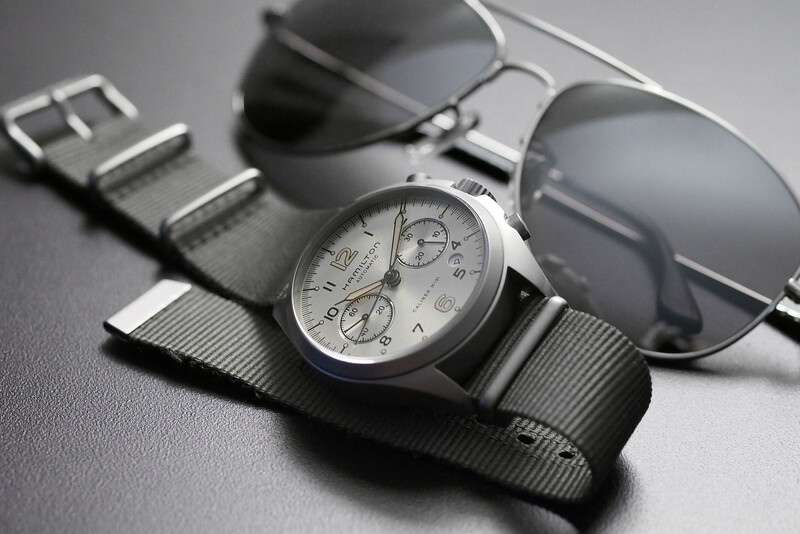 We like it best — as shown — with a sandblasted case, silver dial and khaki-olive Nato strap. The retail price is $1,845.